The Tenth International Conference on Geographic Information Science was held in Melbourne, Australia, 28-31 August 2018. 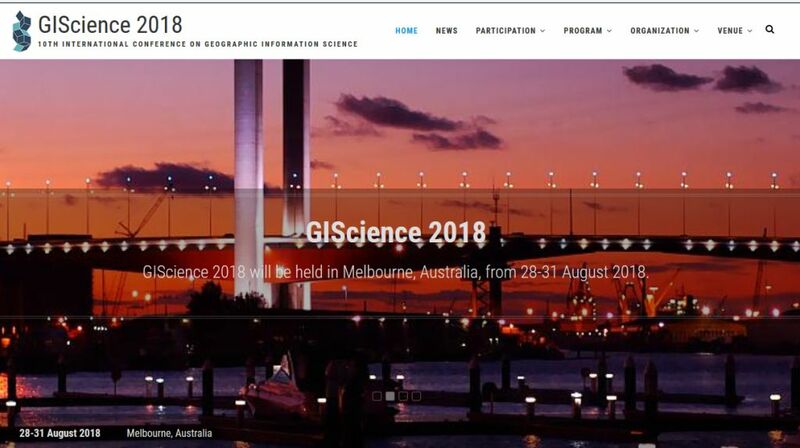 Hosted at RMIT University in collaboration with the University of Melbourne, GIScience 2018, the flagship conference in the field of geographic information science continues a highly successful conference series, which started in 2000. The conference regularly brings together more than 200 international participants from academia, industry, and government to discuss and advance the state-of-the-art in geographic information science. The GIScience conference series has always had a focus on fundamental research themes and questions. Papers are typically advancing the field methodologically or theoretically.